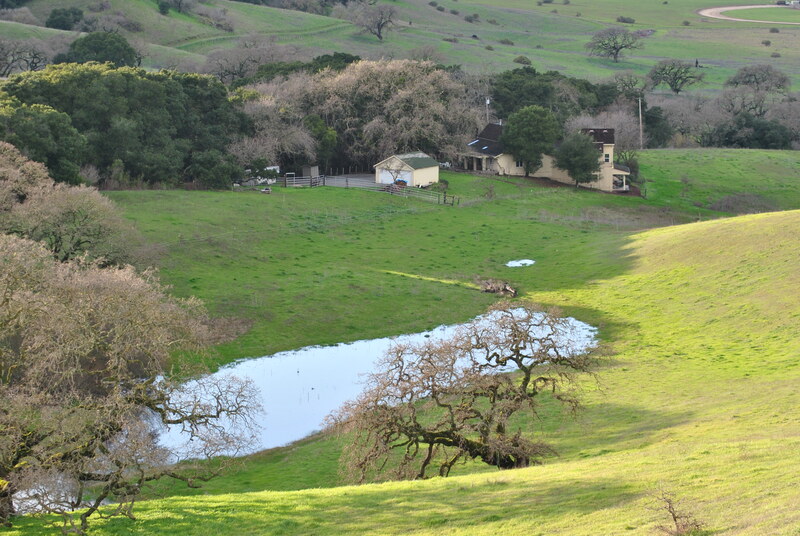 A pond on our ranch in San Juan Bautista shows how healthy grasslands capture and clean water. At the Council on Foundations conference this week in San Francisco I listened to Singularity University’s Salim Ismail speak. He asked an audience of 1,200 of us: “What are you doing to change the world?” Ismail is a successful angel investor and entrepreneur. His last company, Angstro, was acquired by Google in August 2010. He has operated seven early-stage companies and is a frequent speaker on Internet technologies, private equity, and entrepreneurship. For the last two years he has been executive director of Singularity University, which is training a new cadre of leaders to manage exponentially growing technologies. Ismail also serves on the board of Breakthrough, a global human rights organization. In this audience there were many people working to change the world: a gathering of Community Foundation CEOs, staff and board members. Community Foundations help local economies by matching donors with needs. As a program manager at the Community Foundation for San Benito County I have seen, first hand, the increasing role that philanthropy plays in providing basic services to residents. We are seeing this trend grow as local, state and federal funding is cut. But back to Salim’s question. He used the example of clean water several times during his talk. According to water.org, nearly one billion people lack access to safe water and 2.5 billion do not have improved sanitation. The social and economic effects are staggering: millions of children die, wars are fought, people (mostly women) must spend hundreds of hours collecting clean water for their families. All because we are not managing the earth’s watersheds well enough. Can you see where I’m going here? All things lead to sustainably produced food. I couldn’t help but think of the connection between Ismail’s challenge to do good work and the work of those people who are already producing clean water: grassland managers, organic farmers, and those who buy our food all contribute to a larger issues than healthy food. We are working to build topsoil, encourage deep root systems that capture and hold water, and create natural filters along waterways that not only allow water to flow but clean it as it passes by. Singularity University focuses on the rapidly evolving world of technological innovation. There is no question that we are in an unprecedented time when it comes to new ideas and the speed at which they can be implemented. I would argue, though, that simplicity should not be overlooked and that maybe some of the earth’s natural systems can teach us something about solving the world’s big problems. Want clean water? Support responsible land management … and enjoy a plate of organic, grilled vegetables and a grassfed filet mignon while you’re at it.